KATHMANDU, Jan 14: There is an agreement between Turkish Airlines and Airbus regarding the purchase of an airplane. Turkish Airlines has decided to buy 25 airplanes from Airbus which can cover the long distance. 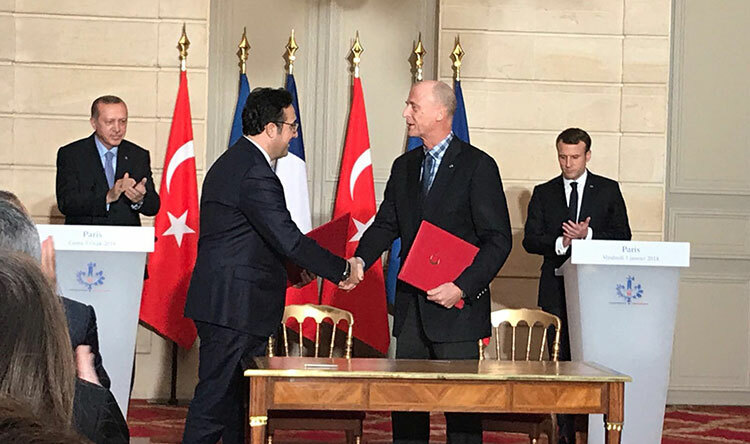 President of Turkey, Recep Tayyip Erdoğan and President of France, Emmanuel Macron has signed an agreement that happened in Paris. This agreement has been termed as a new chapter in the growth of aviation. In the following accordance, the airplane having 100-600 seats are being purchased. Airbus can also be taken as the most convenient Airbus company.